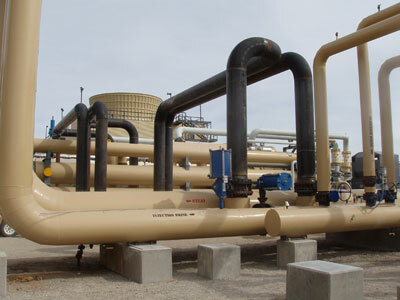 At Colorado TBC process piping is our specialty. Whether in the petrochemical, mining, power, fossil fuel, gas transmission or commercial sectors, Colorado TBC has the experience you need to complete even the most complex projects in the process piping arena. every conceivable process piping situation. Our broad based experience has involved all types of systems fabrication and installation including alloys, PVC's, HDPE and fiberglass. We can develop engineered systems with our engineering firms or yours, and/or we can fabricate owner supplied designs on-site or for delivery. Our recent process piping experience includes some of the most complex conditions and systems such as operating pressures ranging from a vacuum to 2,100 PSIG, temperatures in excess of 600°F, and corrosive conditions. With this kind of experience, you can be sure that Colorado TBC can perform whatever fabrication, installation and maintenance you need, in whatever service conditions may occur. We excel in field work, modifications and upgrades of existing systems and have successfully completed projects that others have turned down stating "this cannot be done". Bring us your problem...Colorado TBC will build you a solution!